With the current global financial issues at hand, investment opportunities can look pretty dismal even for the most courageous of investors. Bonds are not the stable investment they once were and, in fact, seem to be going in a negative direction. A paltry 3 percent does not even keep pace with inflation let alone be an 'investment' which is, after all, supposed to be a profit gathering exercise. With the exception of a few stocks, the share market has not been overly kind to investors. Property, even in Australia where property values have been rising for some years, are now levelling off and look set to actually follow the US property markets and drop in value although not quite so bad perhaps. Precious metals, although have been outstanding over the past decade in terms of value retained, still have an uncomfortable volatility for some investors due, many analysts say, to manipulative activities in the market place. Well one area that has been doing very nicely yet has been largely overlooked is strategic critical materials (SCMs) as an investment. What are SCMs you might ask? Strategic Critical Materials are those minerals that are highly sought after in industry, electronics and the auto field and without which many de vices could not operate including planes, cars, TVs, mobile phone in fact practically anything manufactures has one strategic critical element or another. Included in SCMs are the Rare Earth Elements (REE) also. There rarity of these is in the distribution of them on the planet and the cost of extraction but also the fact that China has a near monopoly on them and their criticalness to the electronics, military and other areas of industry make them an excellent target for private investors if they could only get their hands on them. SCMs include such minerals as antimony, fluorspar, gallium, germanium, graphite, indium, magnesium and tungsten as well as the rare Earth Elements. Although raw materials are essential for the industrialised nation's economy, their availability is becoming increasingly under pressure. For example, changes in the geopolitical-economic framework impacting on the supply and demand of raw materials, relating to the growing demand for raw materials, which are, in turn, driven by the growth of developing economies and new emerging technologies, and now becoming more apparent. It is a fact; many emerging economies are pursuing industrial development strategies by means of trade, taxation and investment instruments aimed at preserving their resource base for their exclusive use. This trend has become apparent through an increasing number of government measures such as export taxes, quotas, subsidies etc. In some cases, the situation is further compounded by a high level of concentration of the production in a few countries. China is a notable example. The high supply risk of many minerals such as antimony, fluorspar, gallium, germanium, graphite, indium, magnesium and tungsten as well as the REE for example, is mainly due to the fact that a high share of the worldwide production comes from China. Moreover, the effect on the supply of these critical raw materials by this concentration of production geographically, in many cases, is compounded by low substitutability and low recycling rates. One of the most powerful forces influencing the economic importance of raw materials in the future is technological change. 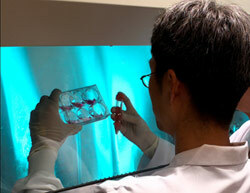 In many cases, this rapid diffusion can drastically increase the demand for certain raw materials. Based on a study commissioned by the German Federal Ministry of Economics and Technology, the demand from driving emerging technologies is expected to increase, sometimes very rapidly, by 2030. Metals are also essential to modern industrial activity as well as to the infrastructure and products used in daily-life. Moreover, high tech metals are indispensable ingredients for the development of technologically sophisticated products. Modern cars, flat-screen televisions, mobile phones and countless other products rely heavily on a range of materials, such as antimony, cobalt, lithium, tantalum, tungsten and molybdenum. The same group of high-tech metals are also fundamental to new environmentally friendly products, with electric cars requiring lithium and neodymium, car catalysts platinum, solar panels requiring indium, gallium, selenium and tellurium, energy efficient high-speed trains requiring cobalt and samarium, and new fuel-efficient aircraft rhenium alloys, all of which come in the category of Strategic critical materials (SCMs). REE forming a critical factor in industry deserves a special mention here from an investment point of view. The term Rare Earths is a bit of a misnomer. Rare Earths are not actually that rare at all. With the exception of the radioactive promethium, all the Rare Earth Elements are plentiful in the earths crust. Cerium, for example, is the 25th most abundant element at 68 parts per million, very similar to copper in fact. 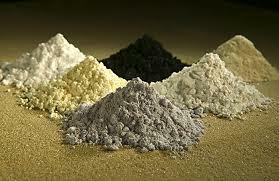 What gives them the name Rare Earth Elements is a result of their dispersal in the earths crust. REE are typically widely dispersed and rarely found in concentrated and economically viable mining concentrates. Hence it was this apparent scarcity that gave them the name rare earths. The first such mineral to be discovered was gadolinite. This is a compound of cerium, yttrium, iron, silicon and other elements. This mineral was first extracted from a mine in the village of Ytterby in Sweden and many of the rare earth elements bear names derived from their location. China was quick to grasp the importance of many of these metals back in the 90's when it out-priced global competition, causing massive mining and refining closures in developed Western nations. They understood early that the advancement of technology was not only dependent on typical base elements, but rather on rare metals which can maintain higher durability ratings. Today, china control over 95% of the world's and are firmly set on keeping the status quo. Over the past years, they've had a slash fest. In 2010 they cut a whopping 72% of their RIM export quotas for the last part of the year. In December, they again whittled 35% off the quota for the first half of that year. Some analysts believe that China will completely shut out the world by the end of 2014 in order to secure their own demand and manufacturing dominance. Obviously this is creating somewhat of an international crisis. Nations with technology backbones are currently taking heed and hedging themselves with alternative suppliers - and they're limited. Only recently, The Korea Times reported that their Ministry of Knowledge and Finance is slated to add Indium to its critical substances list because the nations' heavy hitters like Samsung and LG, are dangerously dependent on the element. The price of Strategic Critical Materials and Rare Earth Elements are on a continue rise with no foreseeable slowing down. With the demand in the military field as well as industry, electronics and the auto industry rare earths are set to continue. China, with a near monopoly on rare earths, is holding a tight reign in the yearly quota exported and carrying a very small stock pile. This ensures that the value and price of rare earths remains always at its highest. The continual expansion of electronics, defence and high tech industry is assuring the expanding use of rare earths and demand being higher than supply means that the value will remain high. This means that both SCMs and REEs are a good investment to retain asset value and are likely to remain so for the foreseeable future. So where can you get such an investment? It is not easy. There is a REE EFT in Switzerland. The catch is you have to be Swiss and Live in Switzerland to participate. You could also invest in SCM and REE mining companies. But there are no mining companies exclusively mining these elements. Both SCM and REE are a secondary mining activity so the company is subject to other vagaries such as stock price based upon their primary mining activity, management activities and other related factors. Up until now there was no way a private investor could participate in a SCM or REE investment. Buying into SCM and REE has always been the province of industrial buyers and private investors have not been able to get a look into this potentially stable and expanding hidden market. However this has changed. A German and Swiss company have both got together and come up with a way for private investors to buy Strategic Critical Materials and Rare Earth Elements as an investment and have them stored for the investor. German company Haines & Maassen (H&M) and the Swiss firm Scweizerische Metalhandel AG have joined forces to create a number of smaller 'baskets' of selected SCMs and REEs for investors. These individual baskets are stored in a Swizz Vault close to Zurich.